Copyright 2016 The Merriweather Project Authors (https://github.com/EbenSorkin/Merriweather), with Reserved Font Name “Merriweather”. 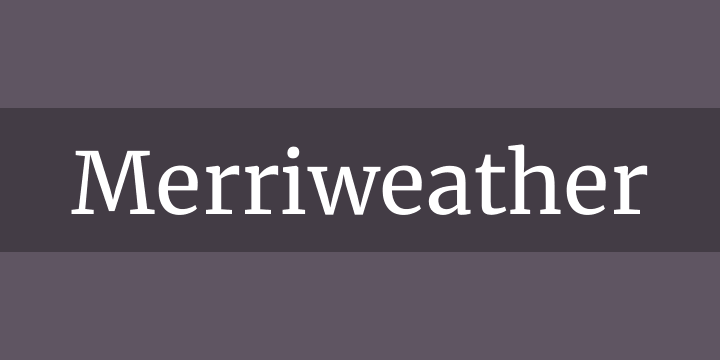 Merriweather is a workhorse text type family made specifically for screens. Print use was not a significant consideration in the design. The styles included are: Light, Regular, Regular Italic, Bold, and Heavy.